VLBJCAS has an operational boys Hostel. The residence is a model for comfort living and learning for our students. It consists of spacious living area with Wi-Fi facility and an en-suite bathroom. Communal spaces are large, airy and designed to foster comfortable learning. VLBJCAS has an operational Girls Hostel. The residence is a model for comfort living and learning for our students. It will consist of spacious living areas with Wi-Fi facility and an en-suite bathroom. Communal spaces are large, airy and designed to foster comfortable learning. 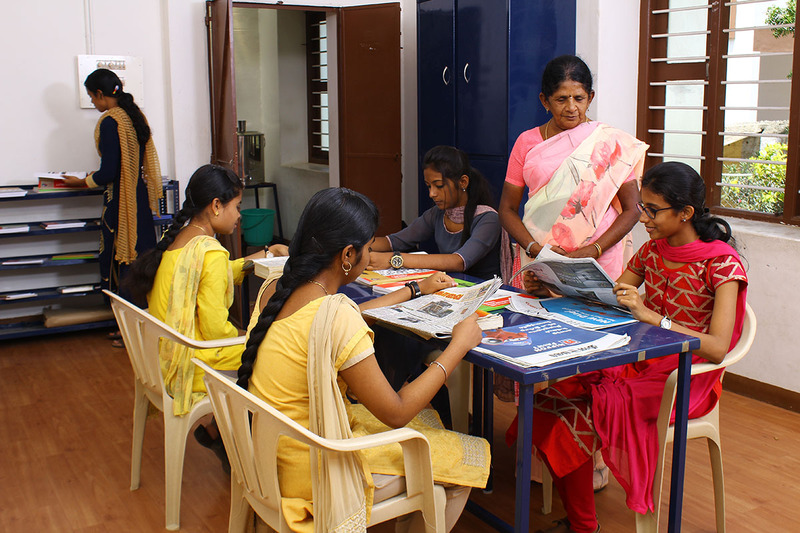 The campus offers an excellent college hostel accommodation facility available to both boys and girls in separate blocks. The hostel being within the main campus, and a quick bus facility from the City Centre, living on-campus is truly part of the Student Life experience! So what are the Benefits of staying with us? Fresher will be accommodated with other fresher. Indoor games facilities like Carrom, Chess etc.